Time waits for no one, and so we’ve gone and booked our spring vacation! Moreover, we have been wanting to see the cherry blossoms and enjoy hanami. This trip will be different though, as we will be bringing the husband’s parents with us. They have never been to Japan and this would be a real treat for them. My year-end holiday ended just three weeks ago but I’m already dreaming about where I would love to celebrate the end of 2014. Finland is getting my vote. I’d really love to be snowed on and to do a decent snow angel. I think one could take a train to Russia from Finland too. Time to start saving up! Ten years ago, on Christmas Day, I met an annoying chap who went on to become my best friend, my partner in crime, the love of my life and my husband. He also became the one person I want to travel with, to get lost and discover the world together, and to make memories that will last a lifetime (at least before Alzheimer’s sets in!). Looking back now, I realised that Santa must have loved me so much to grant me the best gift ever! Osaka is very much like Singapore and most big, commercial cities – its people are always in a mad rush, traffic is heavy and commuting is a very stressful exercise. 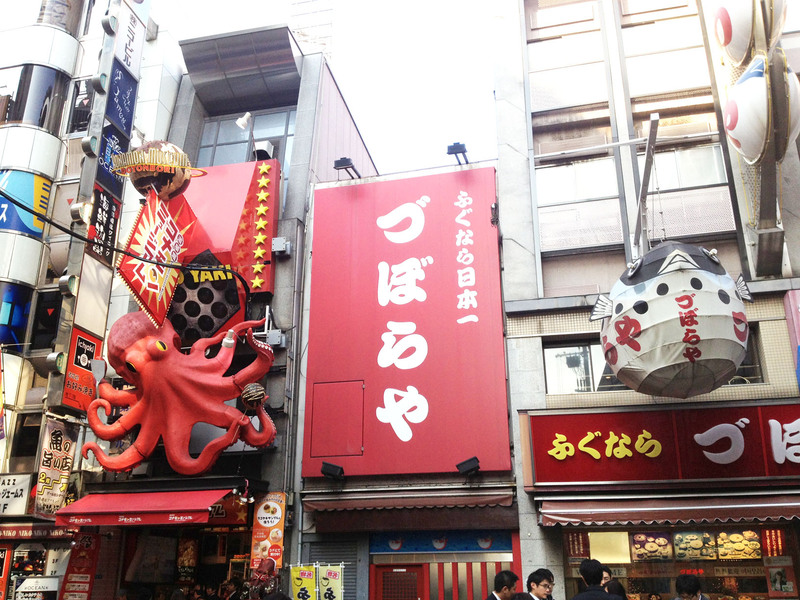 While we did not quite like that aspect of Osaka, we do love, love, love its food culture and abundant options of restaurants in Minami (accessible by Namba Station) and Kita (accessible by Osaka Station). 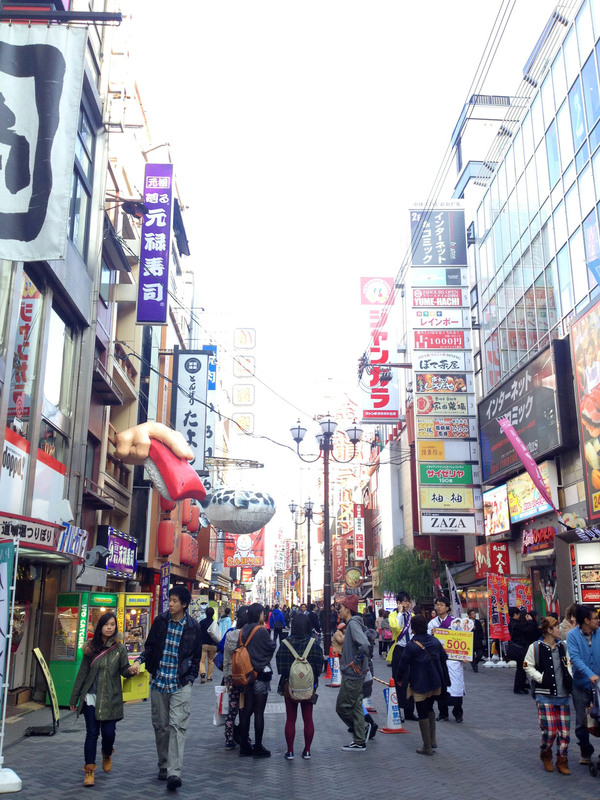 Minami, where Dotonbori and Shinsaibashi shopping street are, is a hive of activity in the day and night. It is fascinating to see the array of lightboxes and oversized food replicas adorning the front of shops and buildings, eagerly beckoning consumers to come their way and spend some money. As if the lightboxes and oversized food replicas aren’t enough to entice consumers, most shops hire staff to stand at the entrance to shout their wares. Oh yes. 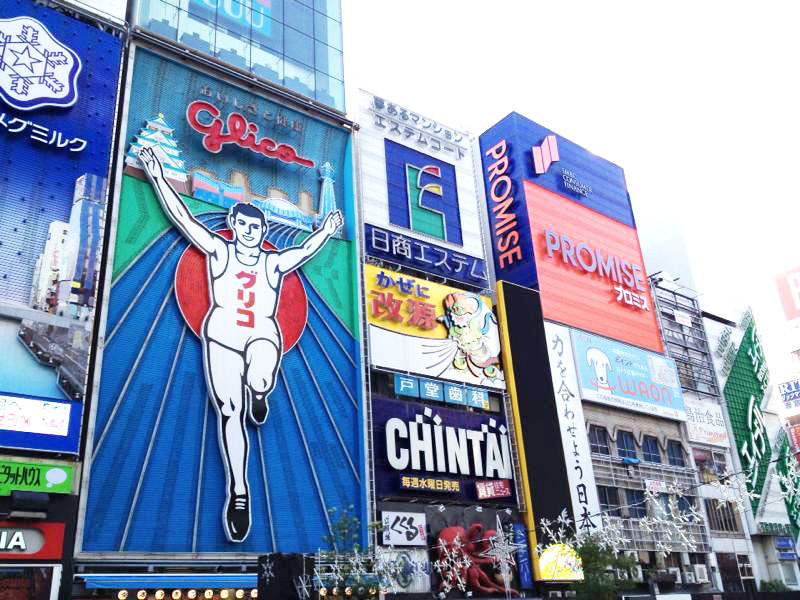 A trip to Osaka isn’t complete without taking a photo of Glico Man! 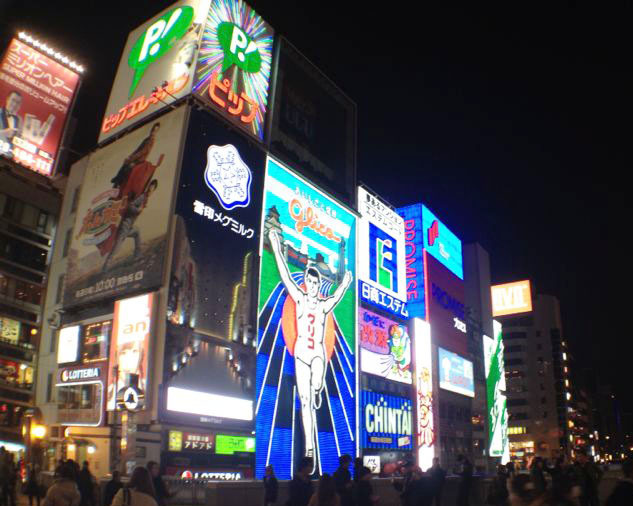 We took a step further by getting TWO photos of Glico Man – one in the day, one in the night. Since it was tough deciding what to eat in Minami, we ended up having three lunches in a day – one at a kaiten-zushi shop, one at Kani Doraku (our second go on this trip, with the first mega crab feast in Kyoto) and one at a western-style bistro where we had excellent sundaes (which the locals prefer to call ‘parfait’). 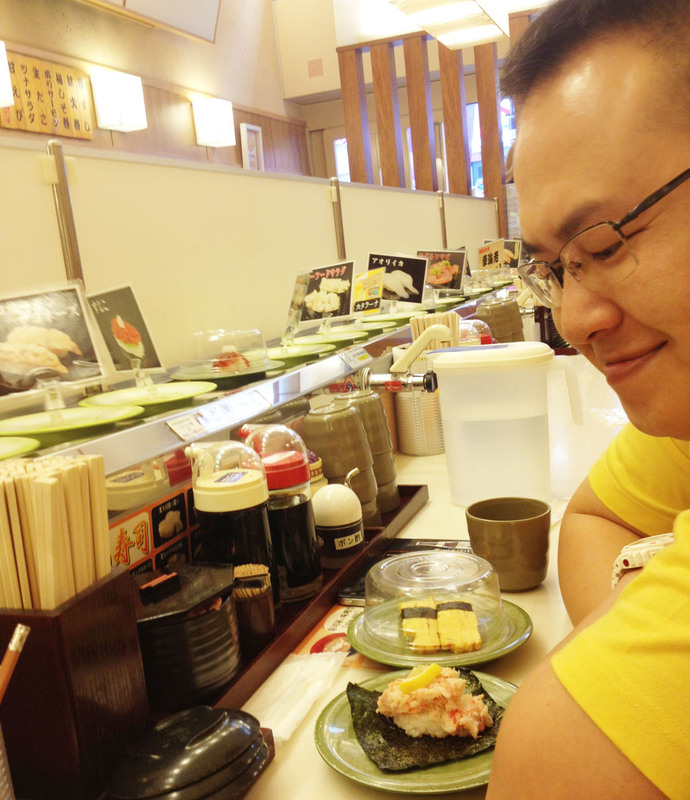 Boy, I’m glad we have big Singaporean stomachs and appetites! 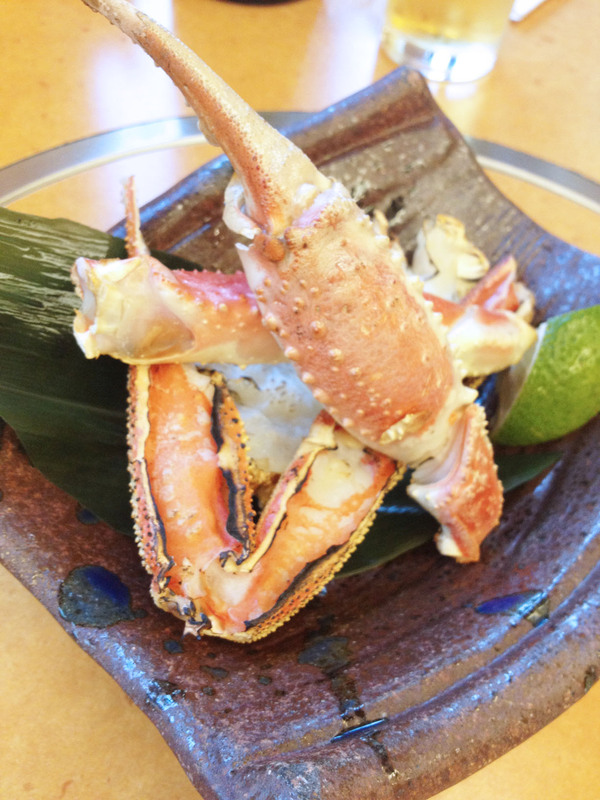 There’s also plenty to eat in Kita. Immediately around where we stayed, at Monterey Osaka, close to Osaka Station, is a long strip mall that houses a computer and gaming shop and a mind-boggling selection of restaurants. There, we patronised an okonomiyaki specialty shop, an izakaya that serves cheap set lunches in the day and Eki Bacon – out favourite! 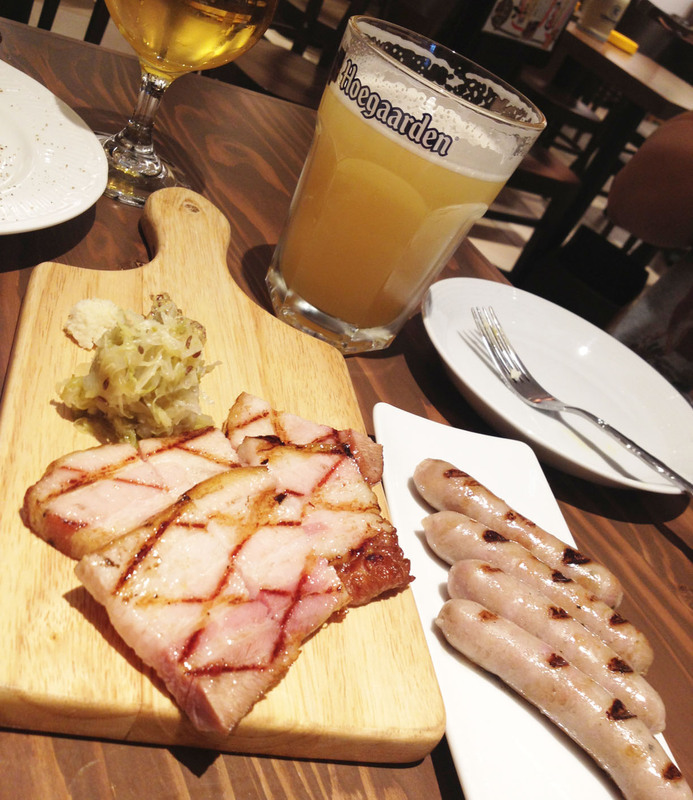 – a place for imported beers, sausages and crispy, roasted pork. There’s something wonderful about Japanese pork. I’m not usually a fan of pork, as it tends to stink. 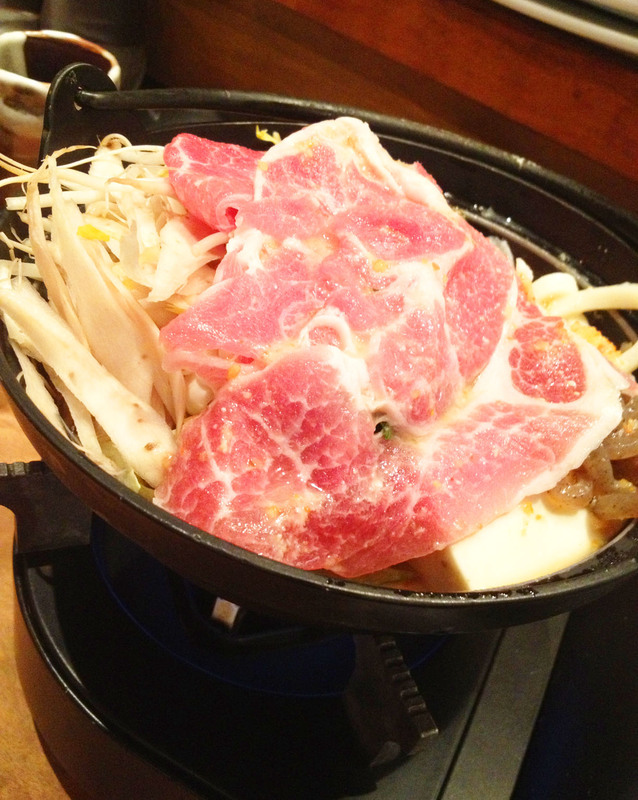 But pigs reared in Japan produce a particularly sweet and tender meat that tastes delightful however it is cooked. When I left vacation planning to the good husband this year, I should have prepared myself for quite a bit of action. 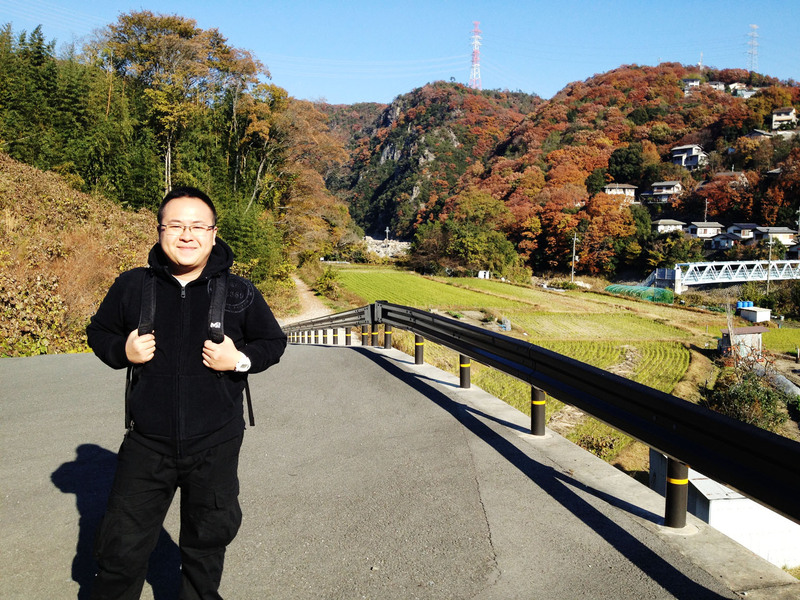 We’ve hiked up three mountains so far on this trip to Japan, and my back and knees are threatening to give up on me. Still, the husband had one more surprise for me which he revealed yesterday. 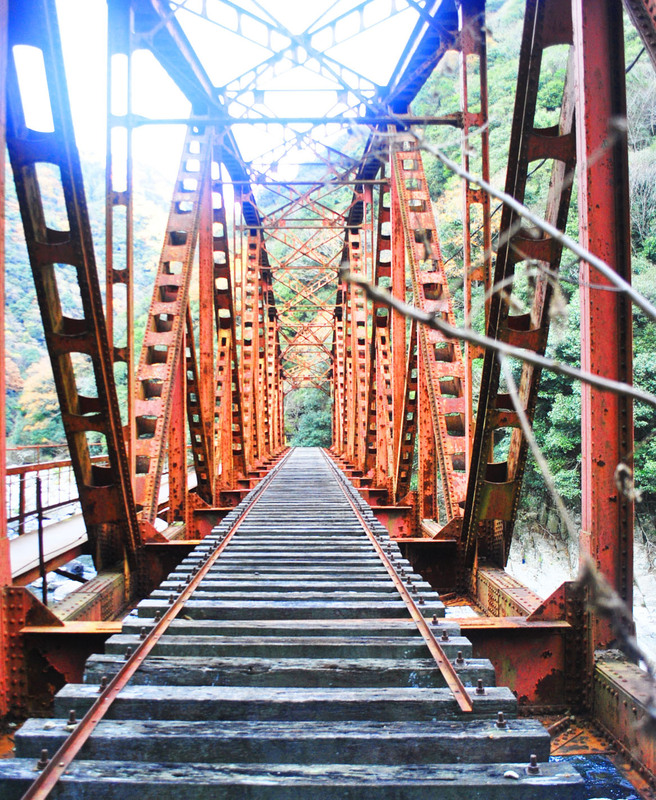 And the surprise was a hunt for the abandoned JR Fukuchiyama railway track. The adventure began at Namaze Station. Following the directions of the excited husband, we walked along a busy stretch of road that was frequented by large buses, lorries, container trucks and heavy vehicles. My heart leapt to my throat whenever a monster rumbled past me at high speed. After 15 minutes or so, we crossed that crazy, busy road and came upon a expansive field with little houses and lush greenery in the distance. Closing in on that field, we took a little path on the left of that field and that soon brought us to an old signboard that warned of danger ahead. Yep. We were on the right track. Ignoring the sign, we went forth and crossed an old but sturdy bridge.The vista that greeted us from there on was one of the most brilliant I’ve seen on this trip. 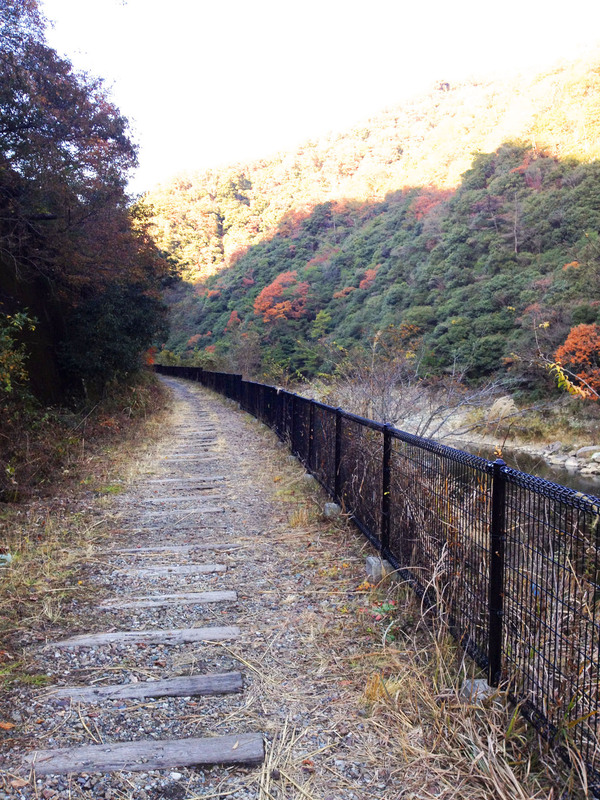 Running along the Mukogawa river valley, the abandoned track is now loved by locals who appreciate the serene and scenic environment. If you are a worry wart like I am, rest assured that this abandoned track is truly safe to explore. Along the way we met small groups of elderly folks and the occasional dog walker. 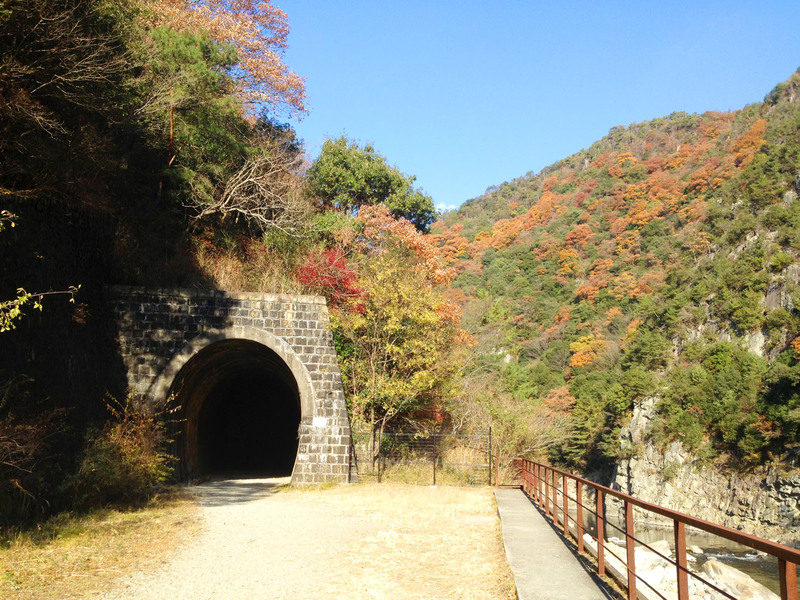 Just remember to put on proper hiking shoes, as the ground is littered with rocks, stones and tree branches, and bring along a strong flashlight to help you conquer the six unlit train tunnels on that route. We covered the full length of the abandoned track in three hours, with several stops for photos. It was mid afternoon by the time we arrived in Osaka today, so we rushed to one attraction that we were bent on visiting: Momofuku Ando Instant Ramen Museum. 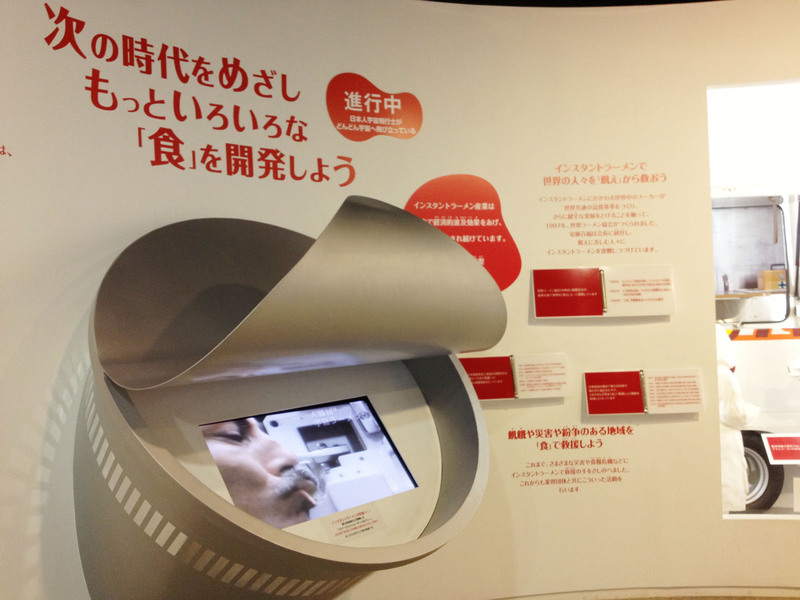 It is the one place any instant noodle fan must visit, as it tells the history and evolution of instant noodles in Japan – specifically that of Nissin’s. 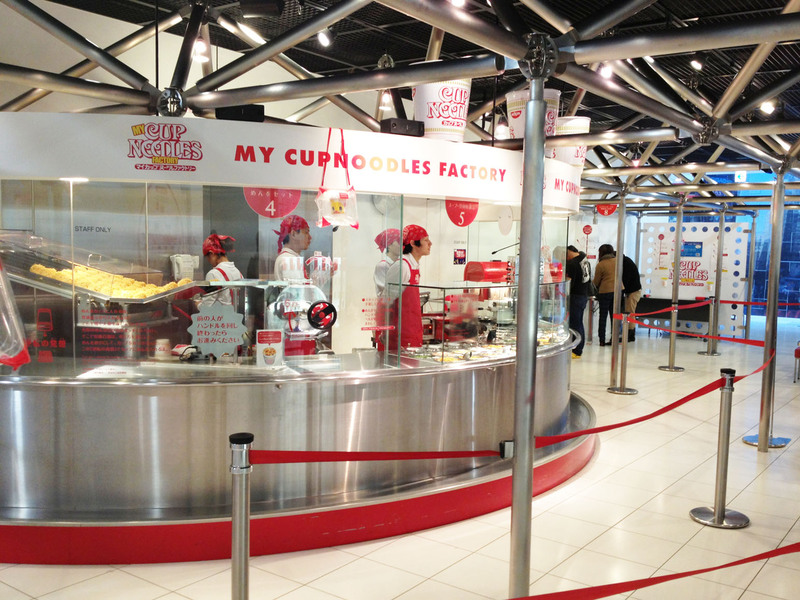 Plus, visitors can make their own cup noodles at the museum’s My Cup Noodle Factory. One gets to choose from four soup bases and from a list of toppings. One can even draw his/her own cup. 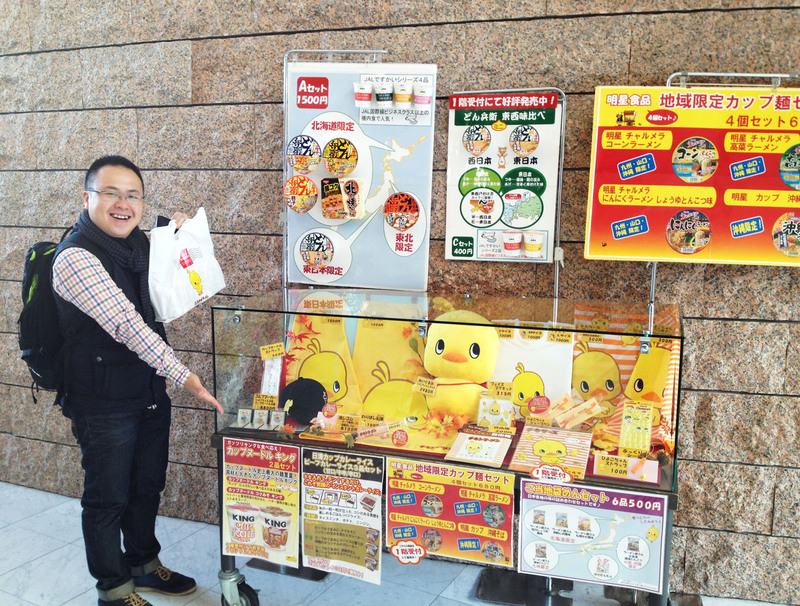 One can also buy an assortment of souvenirs and past and current editions of instant noodles at a souvenir shop in the museum too. Perfect for tourists! Oh, did you know that ingesting too much MSG, an ingredient always present in instant noodles, can cause hair loss? The good husband had been waxing lyrical about Takeda Castle Ruins months before the holiday. “The view is really lovely from up there and the trail leading up is becoming very popular with young couples. We must go!” he said endlessly, while reassuring me that the hike would be an easy one since young boys were bringing their dainty dates on it. So that was what we did. From Himeji we took a train on the Bantan Line to Takeda Station, and found ourselves in a quiet little town. 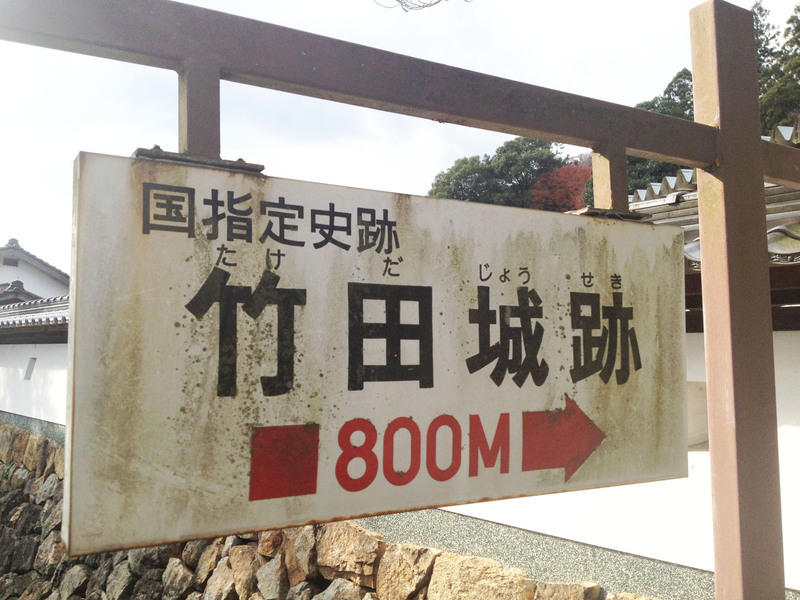 A hand-painted map in front of the train station shows two routes to Takeda Castle Ruins – one runs 800m through a cemetery at the foothills, the other is winding path of 1-plus kilometres. Of course we chose the shorter route! 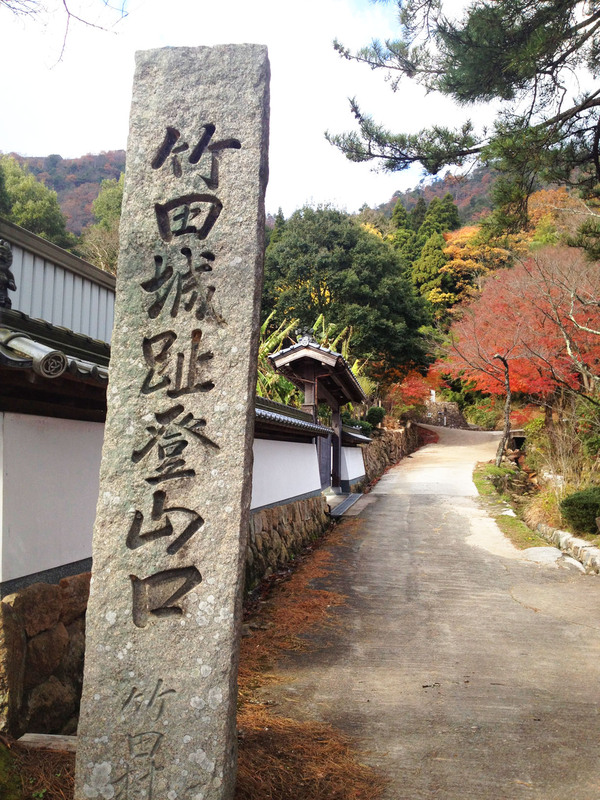 The starting point of the route was a pretty one, rounding the back of a trio of shrines. But after passing the cemetery, as the hand-painted map had shown, we were lost. There were no signs to point us in the right direction, and the only way forward was through an area covered with bushes. 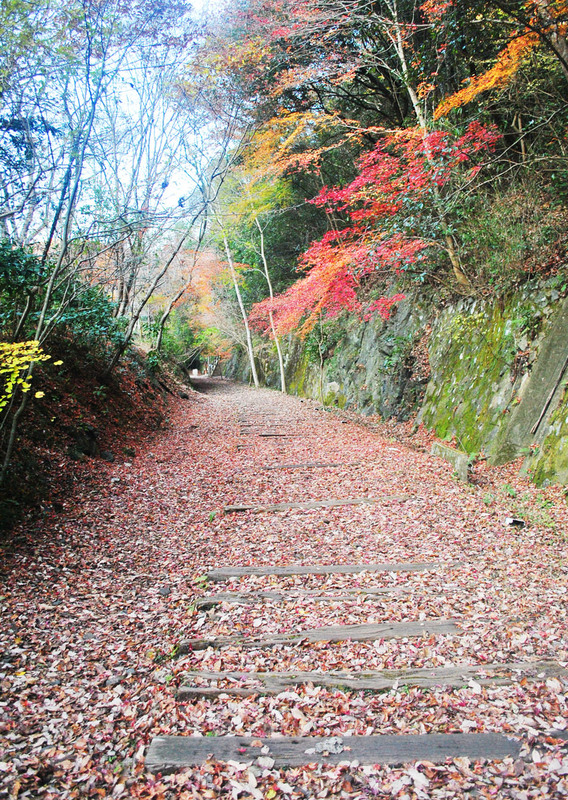 There seemed to be a worn path, which meant people had used that way before. Close by was an old man who was gathering twigs, and we approached him for help. 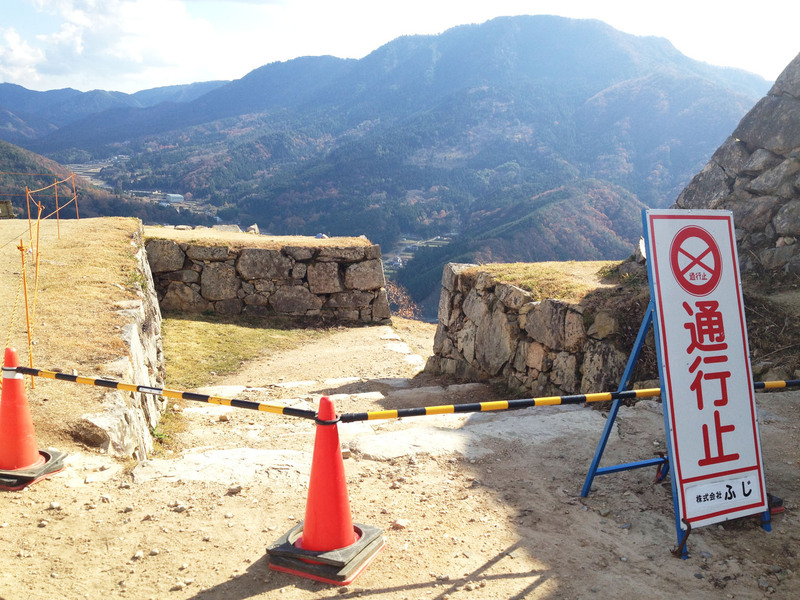 “Takeda Castle Ruins,” we said, while pointing to the top. The old man seemed to understand and replied with a very long sentence. Of course, we understood not a single word. The old man sighed and after a thoughtful pause, nodded and waved us in the direction of the bushes. So off we went. But as we climbed, the worn path disappeared and many times we had to stop and think where we ought to proceed. We had to find firm footing on loose rocks and exposed tree roots. It was bewildering for me and many times I asked the husband how was this trail suitable for dating couples? Despite the cool weather, I perspired heavily and had to strip down to my T-shirt. And even that was soaked through in the end. I imagine young Japanese girls who take this route would perspire just as much too, and have their heavily made-up faces melt away. My endless complaints aside, we pressed on and eventually came face to face with a proper path. Hurrah! But even that disappeared moments later. Eventually large stone slabs appeared, signalling the castle ruins were close. 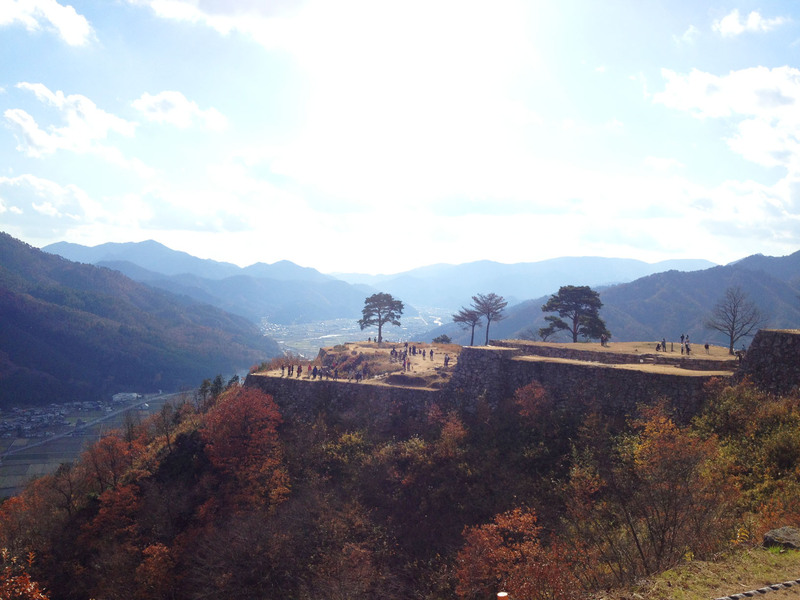 Indeed, the stone foundations of Takeda Castle Ruins soon came into view. What joy! The trek is over! And we took a photo to commemorate the moment. 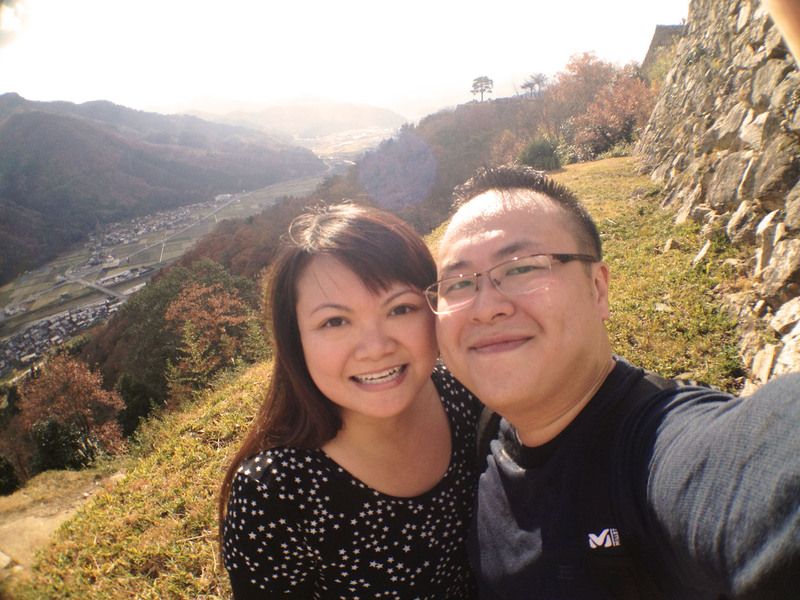 We sat on the grass to catch our breath and to enjoy the view for a while, before climbing to the top of the stone foundations, which is truly our final destination. But minutes later I heard kids’ laughter. Kids up at the Takeda Castle Ruins? 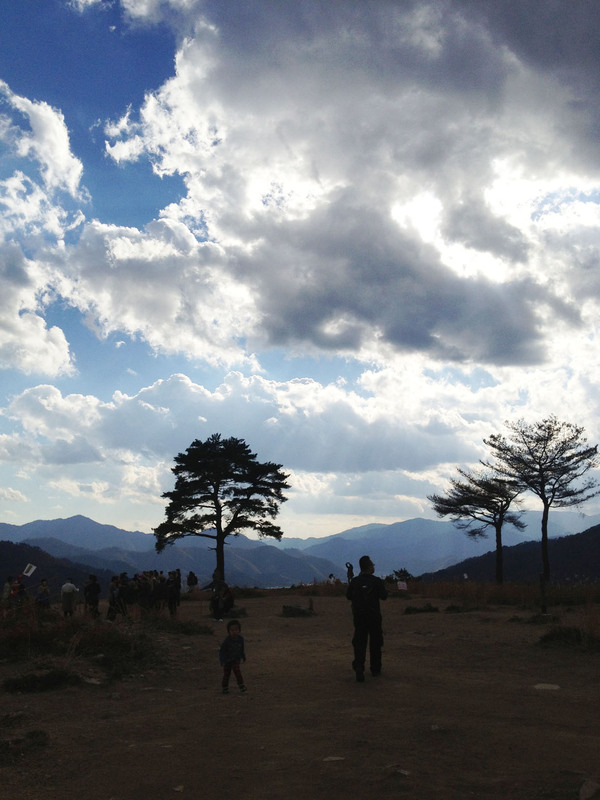 Kids who managed to conquer that horrible trail to arrive at Takeda Castle Ruins? So I picked myself up and climb up the stone steps, impatient to see if there were indeed children up at the ruins. And I saw a carnival of people up there, some dressed in lacy stockings and heeled booties. What the heck?! Then the truth dawned upon me. We must have taken the wrong way up, a route that was closed to the public, a route that was not meant for visitors. 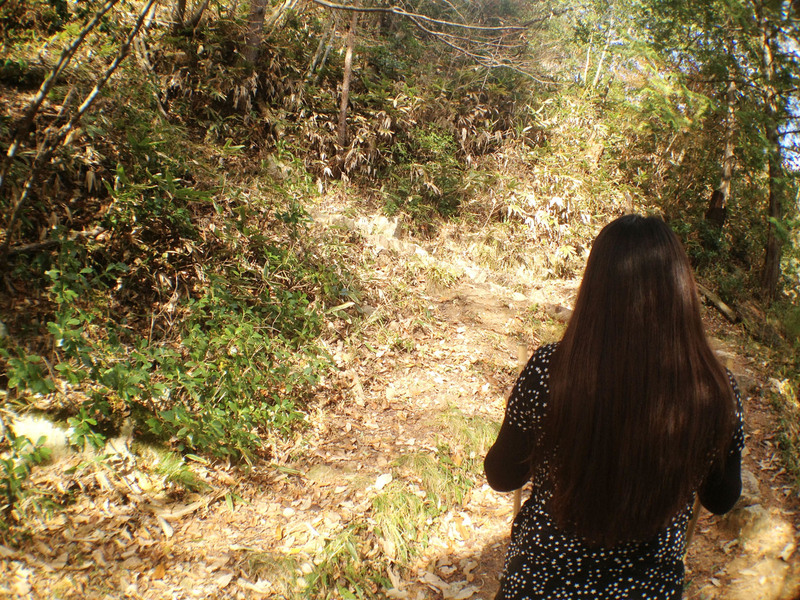 No wonder the twig-gathering old man said so many things when we asked for directions to Takeda Castle Ruins. He must have been trying to tell us how to get to the correct trail. No wonder he sighed and waved us up the overgrown path. He must have thought, stupid tourists, that’s the wrong way up but go if you insist! 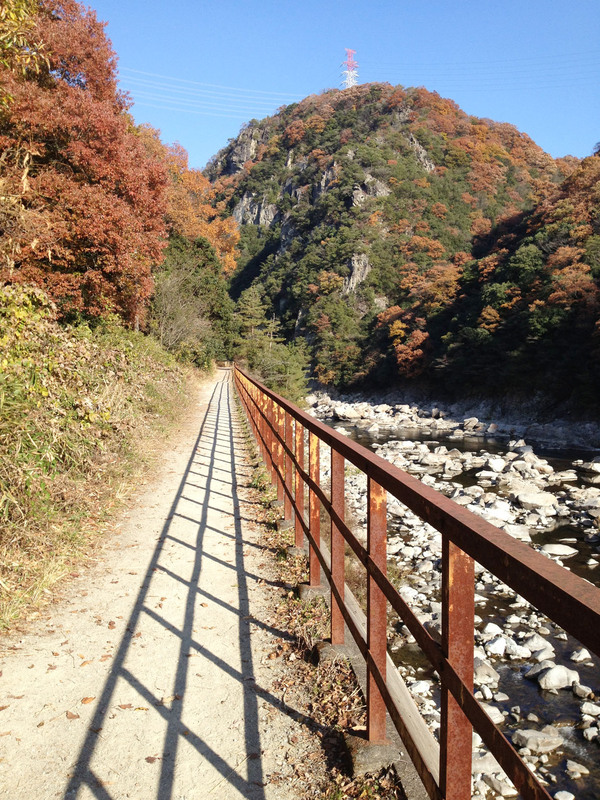 We later discovered that the correct path to Takeda Castle Ruins offered a far easier stroll. 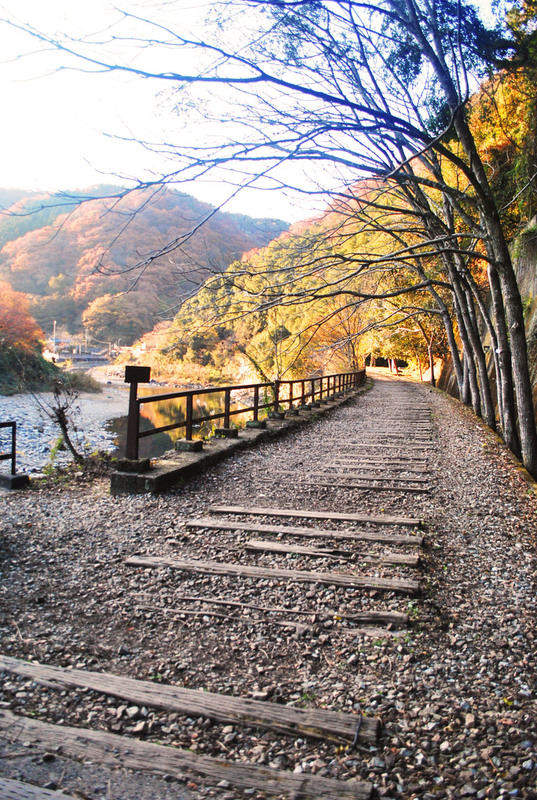 The path is well paved and regular sized steps are provided. Furthermore, a large part of that 1-plus kilometre route is accessible by car, so visitors can drive more than half-way up and then walk the rest of the journey. The deed was done, so we could only laugh at ourselves and then explore the expanse of the castle ruins. It was beautiful up there, and sprawling. And we took a million photos. We found a quiet spot to have a little picnic of hot tea and Manneken waffles. 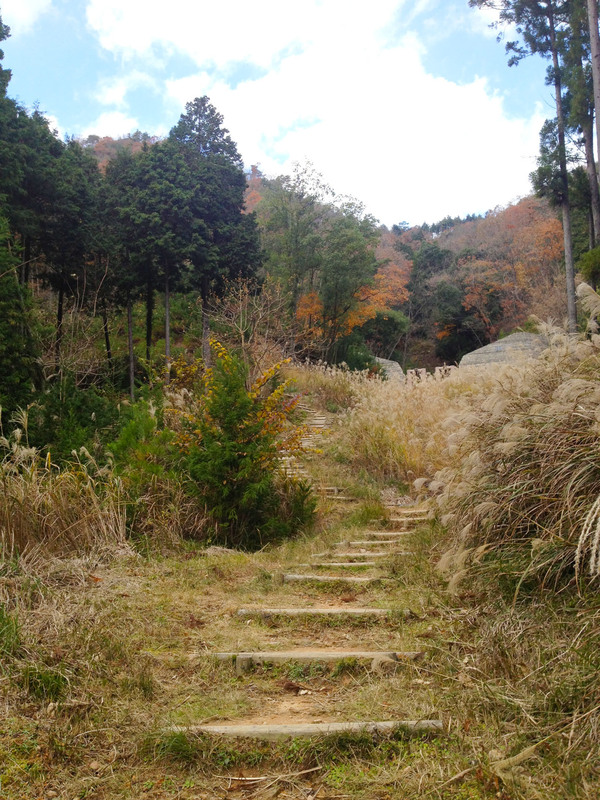 Having spent so much energy hiking up to Takeda Castle Ruins, we stayed up there as long as possible and only descended 90 minutes later. 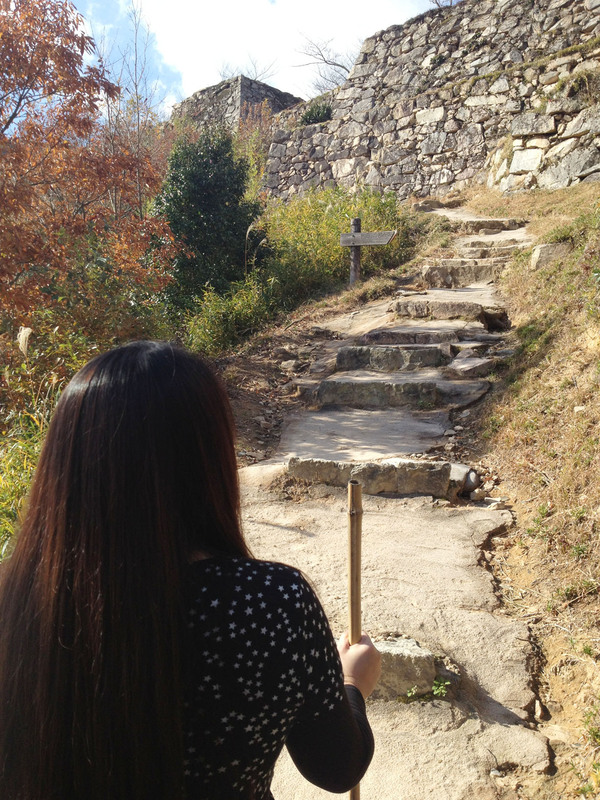 It was at the actual entrance of Takeda Castle Ruins that we had another funny moment. 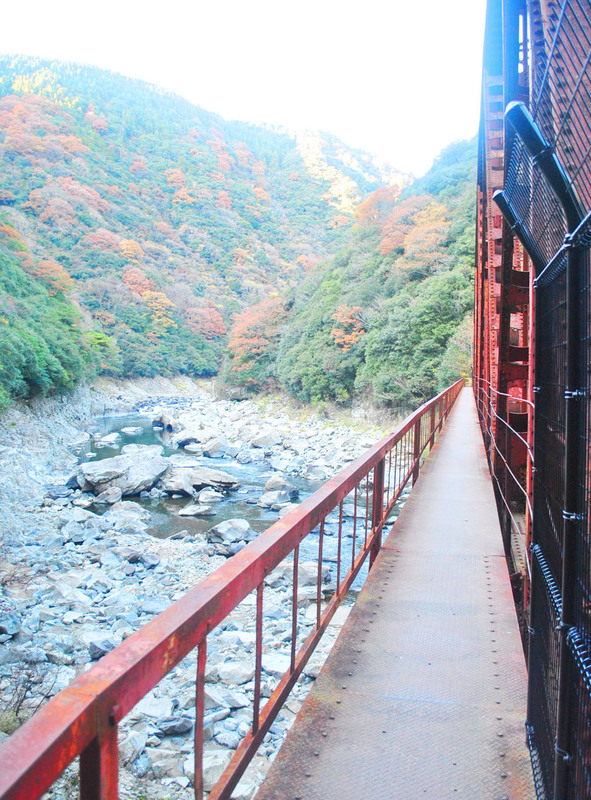 By accessing the historical destination the wrong way, we had actually skipped paying an entrance fee of 300 yen each! 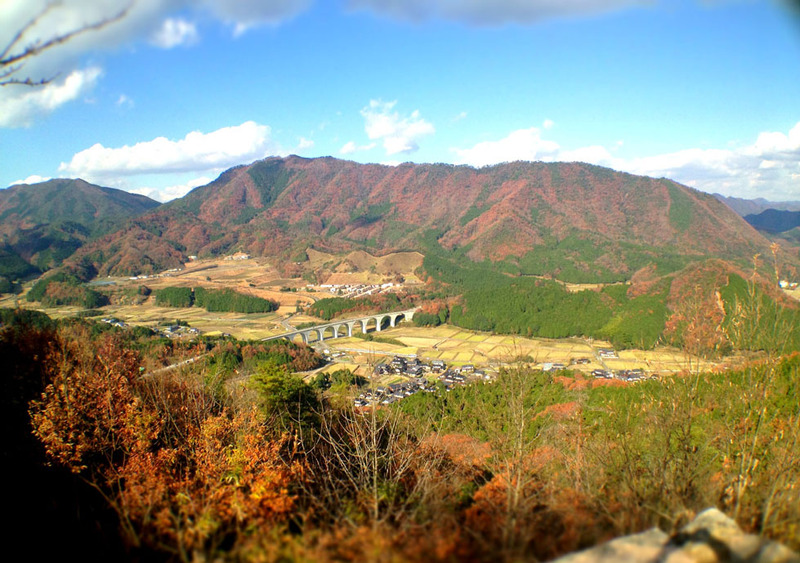 Back in Takeda town, we walked through the quiet streets and found that there were hardly any tourists – it seemed that they would come in their tour buses and leave the town as soon as they were done at the Castle Ruins. Just as well. No screaming, excited tourists to ruins the serenity of the area. Occasionally an elderly folk would pass us by and greet us “konnichiwa”. 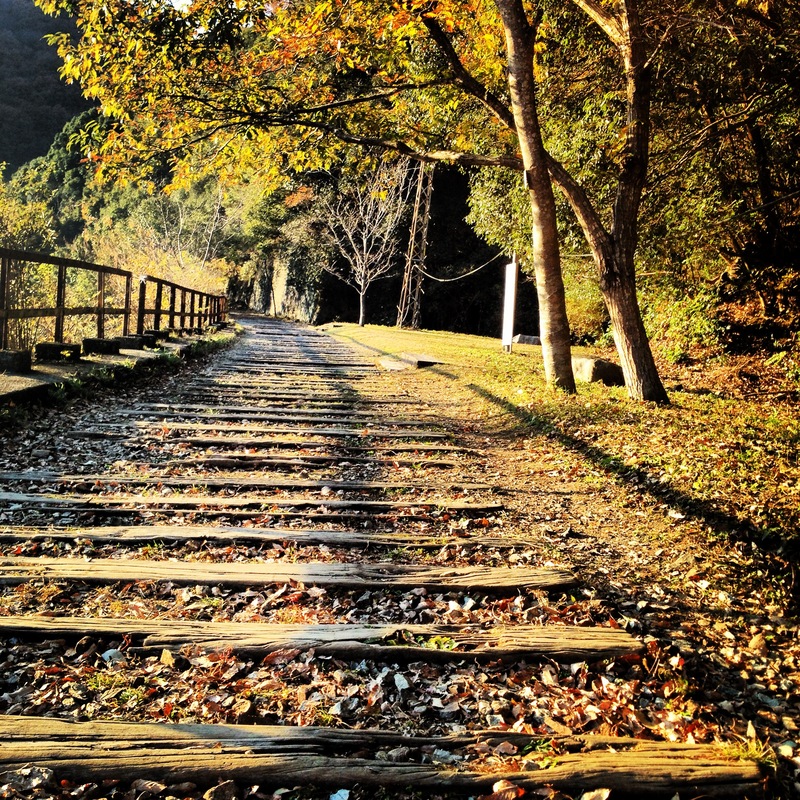 That’s what we love about the rural areas in Japan. Everyone still greets each other and isn’t in too much of a rush to stop and smile. Walking on we discovered a tiny shop selling okonomiyaki, one of the husband’s favourite Japanese dish. So in we went, and was greeted by a boisterous group of old men. They all started to say different things in Japanese to us while waving us in. The female boss of the establishment emerged from the kitchen, and bade us to sit. Soon the old men realised we were tourists and through some words the husband recognised, we understood that they wanted to know where we were from. And when they heard that we are from Singapore, one revealed that he had his honeymoon in Singapore 50 years ago while another said he had helped built one of our expressways. 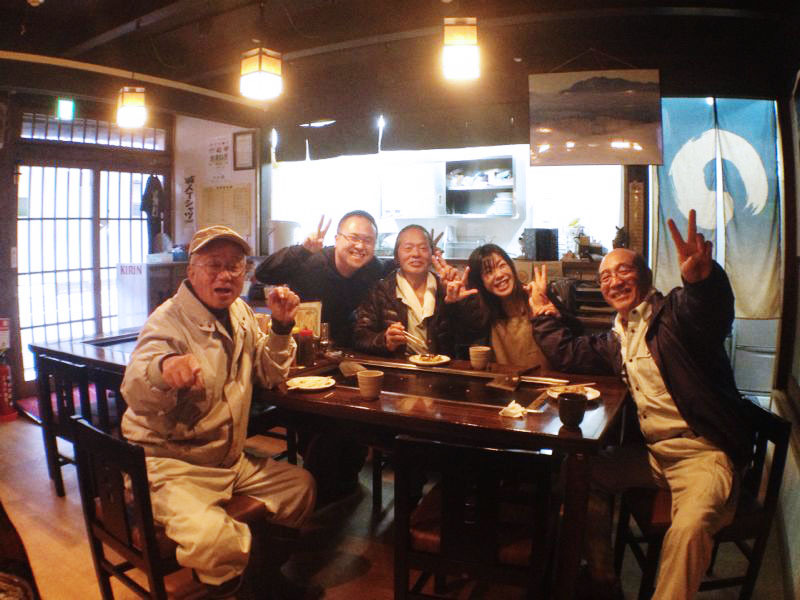 With a mix of sign language and a smattering of Japanese and English, we managed to chat and tease each other and became friends.